I hope your Thanksgiving was all you needed it to be. Dave and I, having moved back into our Colorado Springs house just last month, were blessed to eat dinner at friends’. 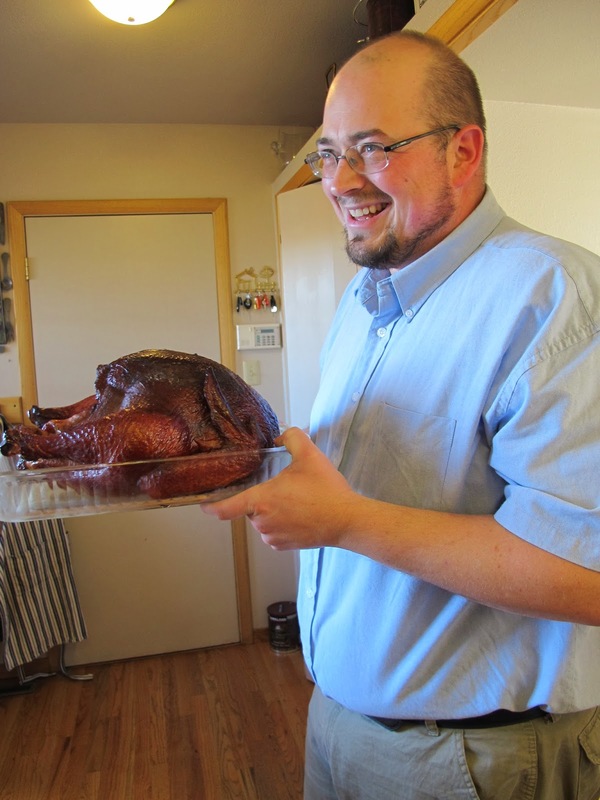 Sean smoked a turkey; I made rolls and pies, as well as a pot of curried Butternut Squash Soup. Jami and Dave made a 4-quart Cauliflower Grantinee. 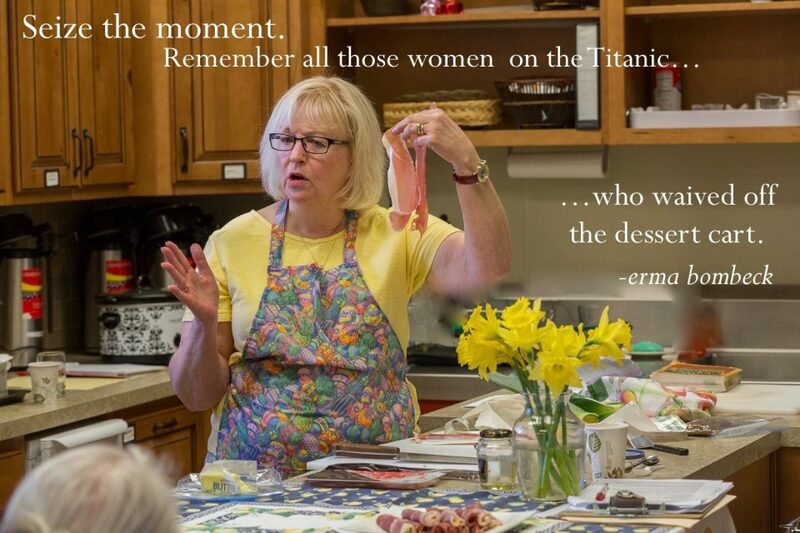 We ferried it all over to the north side of town, where a gorgeous table and a big group of friends waited. All we had to do was sit down and enjoy it all. Thanks, God. I did bring home some leftovers…and hence this soup. 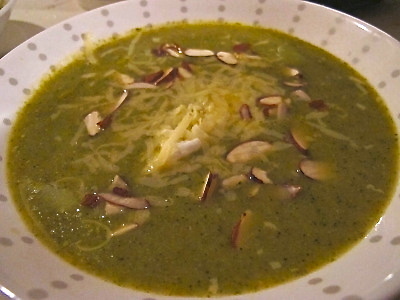 Enjoy this first week of Advent or the rest of Hanukkah…and make some broccoli soup. In a six-quart stockpot, heat the butter over medium heat and let the red pepper cook for a 20-30 seconds. Stir in onions and shallot, season with 1/2 teaspoon salt and 1/4 teaspoon pepper; cook until softened–6 or 7 minutes. Add garlic, carrots, and celery. Cook another 4-5 minutes; stir in parsley. Pour in broth, cover, and bring to a boil. Stir in potatoes and broccoli. Lower heat and cook until vegetables are very, very tender. Puree using a handheld immersion blender or in batches in the food processor or blender. Taste and adjust seasonings. Serve hot, garnished with yogurt, cheese, and almonds. a. 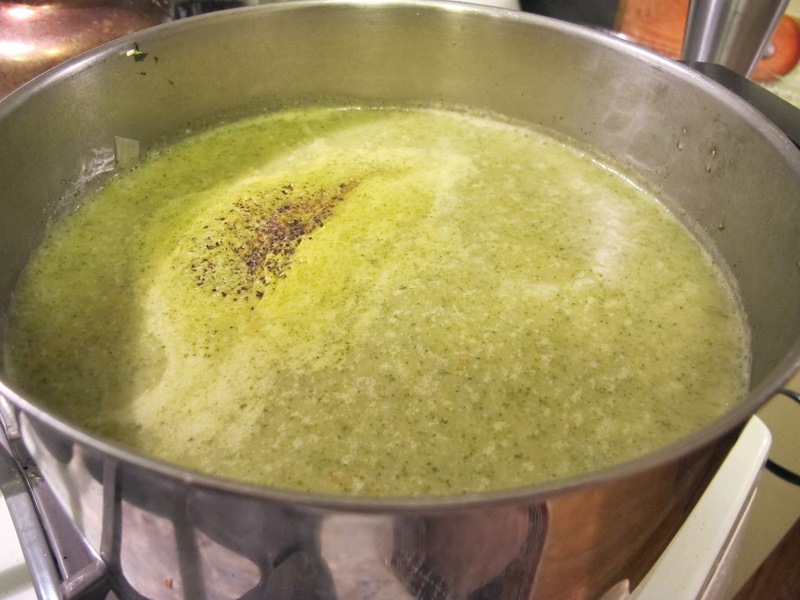 This soup will take an extra ten – fifteen minutes if making with fresh broccoli. b. If you don’t have any of the specified electric appliances, chop your broccoli very finely, cook thoroughly, and eat as is. The old-fashioned way would be to put the solids through a food mill and then add them back into the soup. For those of you writing or asking about the book: I travel to Saint Paul next week to upload the final copy into amazon’s publishing tool. From there, they print one copy and mail it to me for final revision. If all goes well — and I know it’s been a long time coming– it should be ready by the end of the year. I should see the first copy by Christmas. Thanks for your loving patience! This is my first post using my new MacBook Pro. I still, however, can’t find my photos on it to upload….I’m uploading them on the old computer and then writing the text here. I’m about to get a little Mac lesson. It can’t come too soon! Wish me well, readers.